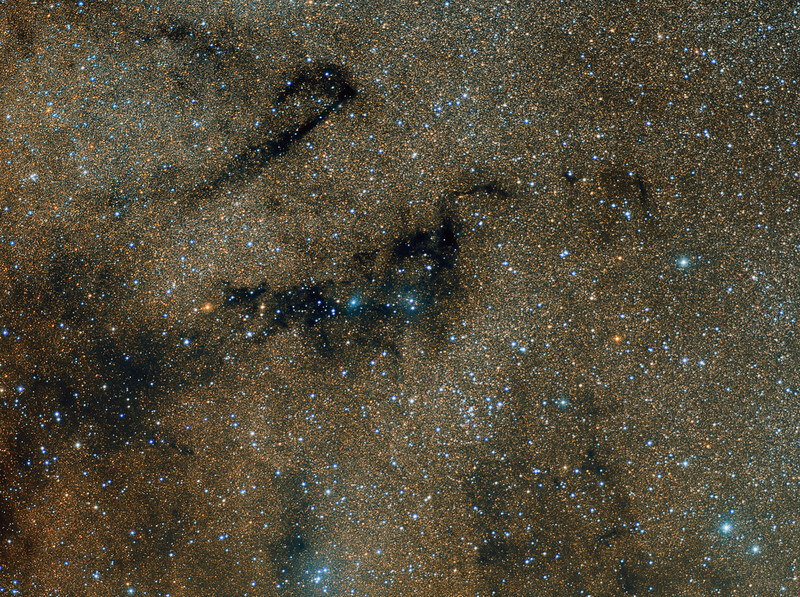 LDN 767, 778, vdB126 in Vulpecula. Canon 200mm f2.8 lens and ML8300 camera. LRGB L 10x10m, RGB 11x5m each. Taken by Lynn Hilborn, WhistleStop Obs,Grafton,Ontario July 15,16,2013.